Vertical style A5 planners now available! After so many requests for a vertical style planner, I decided it was time to finally get it done. I am really happy with how they turned out. 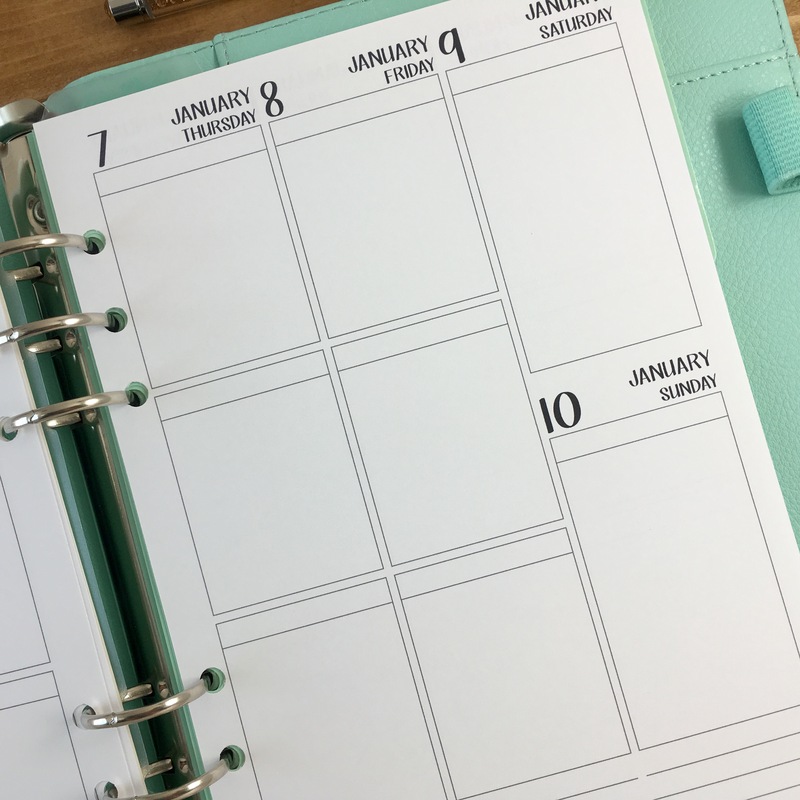 It seems my brain stays organized better with planning down versus the horizontal. The design features three vertical boxes with spaces for headers. They have been left blank so you can fill them in with your whatever fits your life. 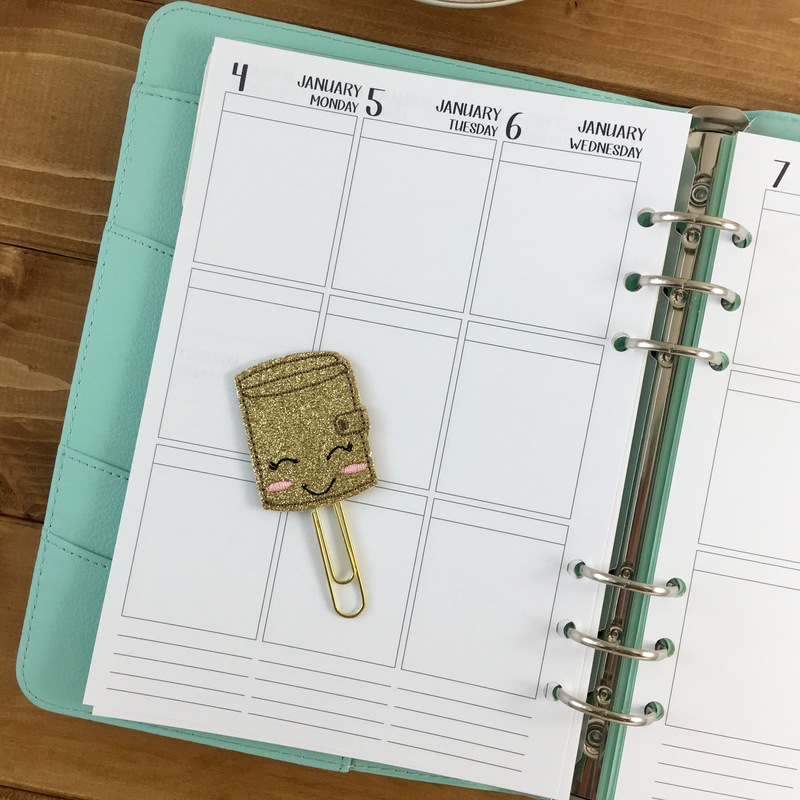 Here I used the “Title It!” planner stamps from Annie’s Paper Boutique. They fit in the boxes perfectly. I was so happy. Now I don’t have to see more of my ugly handwriting. The vertical is available now in A5 Week on 2 page and our Complete only. Personal size will be coming soon. 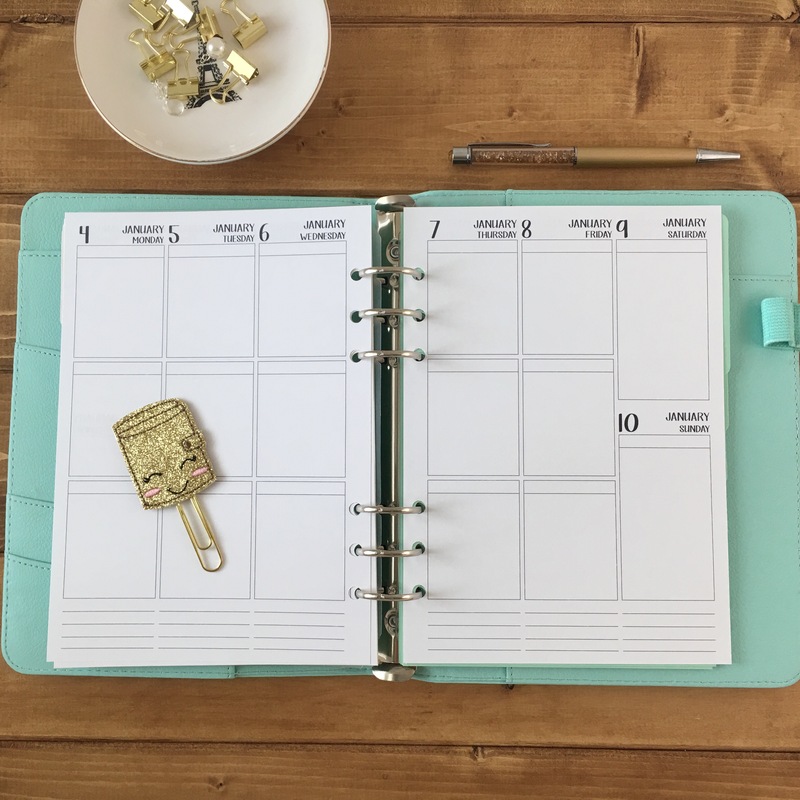 Our Complete calendar features the Month on 2-page layout immediately proceeded by the Week on 2-page layout. 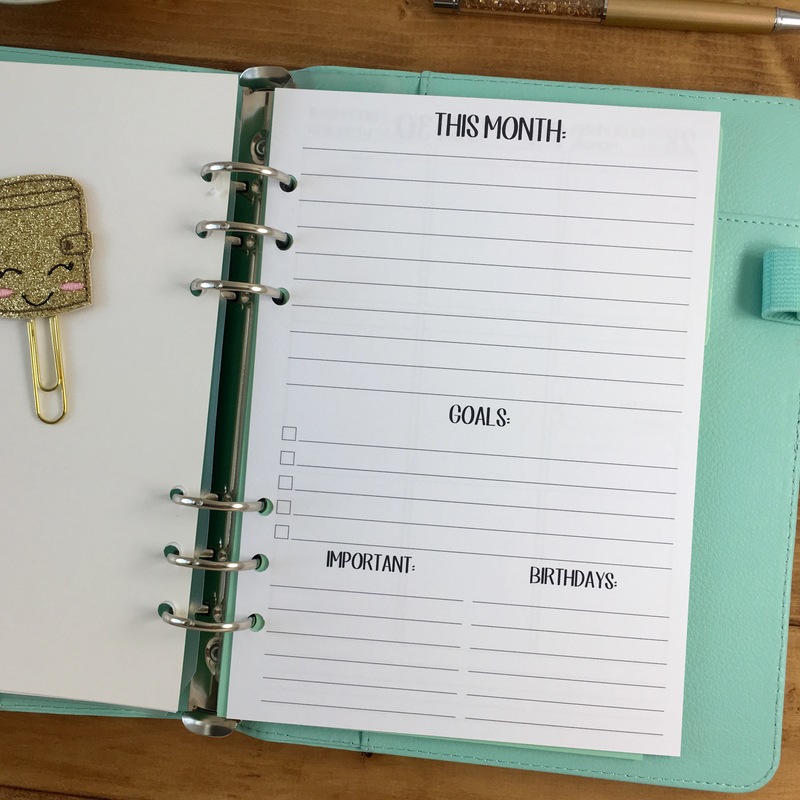 Each combined layout begins with the “This Month” page and ends the month with a “Notes” page. So, you save over purchasing the Monthly and Weekly separate. If you want to have the Monthly and Weekly on their own, each has it’s own listing. The beginning and ending pages are the same as the Complete planner calendar. Questions? Comments? Let me know below. 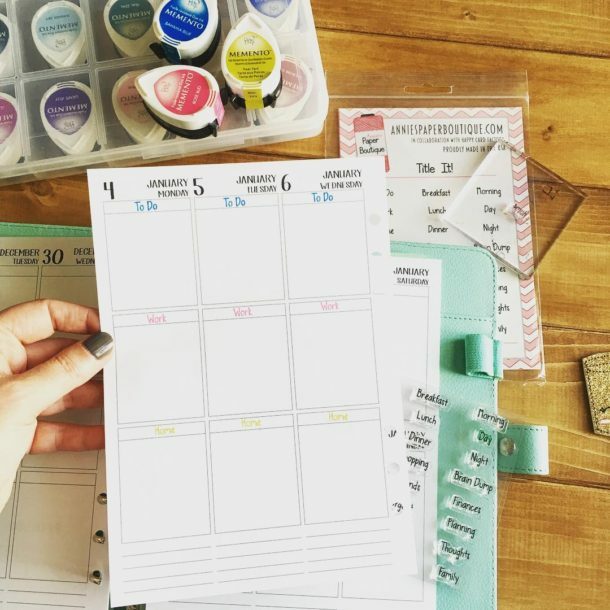 Have any ideas for planner inserts you would like to see, shoot me your ideas. I can be found on my Facebook and Instagram pages. Have a great week! You are welcome to feature or share any article, as long as you use only one image and link back to the specific post. You may NOT edit, crop, remove my watermark, or change my images in any way without written permission. Republishing posts in their entirety is prohibited. If I somehow produce something that inspires you to create your own, please credit me and link back to my site. Thanks!